Walks the fine line between being knowledgeable enough about movies that movie buffs will appreciate it while still covering the "big" movies and being silly enough that you could listen to this without knowing much about movies at all and still have a good time. Highly recommended. I have discovered many great films present and past from Filmspotting. Their marathons are my favorite part. The comics movie reviews are my least favorite, but I always enjoy the show. I took a few film classes in college (Fellini’s films, Noir films, and Hitchcock’s films), but have never been a movie nerd. If anything, I’m much more of a fine art nerd and wannabe art history professor whose podcast tastes run toward Getty lectures and the Modern Art Notes podcast (the latter may second favorite podcast). But I stumbled onto (more like lucked into) Filmspotting and have been hooked on it ever since. I’ve learned a heck of a lot, I’ve gotten a long enjoyment out of the hosts/the episodes, and maybe most importantly, I do a much better job of navigating the ever-increasing access I now have to movies and related content on account of Netflix, HBO, Hulu, the Internet, etc. I’m also plenty fond of some of the others who show up in the podcasts from time to time, especially Michael Phillips and Tasha Robinson. There is a lot of bloat here, there are not chapters to skip past the boring filler, every other episode is now about how "movies are prayers" (🙄), and they keep piping in lengthy sections of "cool dad music" between segments. I’d say 60% of the runtime of each episode should be cut. Please pare this down so as not to waste the time of the listener, or add chapters so we can skip. Top fives, interviews, marathons, and massacre theater. These are but a few of the features presented on this wonderful podcast. Filmspotting was one of the first shows I’ve ever subscribed to and every movie podcast I’ve listened to since has been judged next to the strengths of this and The Next Picture Show You Must Remember This (Probably an unfair judgement seeing how all of those are the cream of the crop, but hey, got to weed out the week ones). Adam and Josh’s - along with the occasional guest hosts - love and respect for film oozes out of every discussion - even the negative ones - that it’s impossible not love and respect them in return. Thank you for the endless hours of great conversations and may you have many more. Been listening for over 10 years. Learned of many great movies I otherwise never would’ve never known about. Can’t recommend the show highly enough. Adam and Josh begin each review as if interviewing each other, asking how they approached the film or how their assumptions were challenged during the film. I'd rather be in the room discussion the film at hand in person. But each week's podcast is the next best thing. I love it so much!!!! Always great with their reviews and doesn't give away too much. Gives me some great ideas of movies I haven't seen in awhile or haven't seen at all. The lists are the funnest thing to listen to. I so love this show. Keep up the good work guys. I’ve been listening for about 10 years and got two of my children to become regular listeners. There simply is no better discussion of film in the universe. This is the podcast I have been looking for since before there were podcasts — like having Siskel and Ebert back again, with no time limits or format restrictions. The greatest! The reason why I don’t listen to critics. Typical artsy fartsy movie reviewers who look way to hard into every aspect of a film, instead of just enjoying it. The new halloween was actually really good and if these guys took the time to do their homework, they would have known the cop with a cowboy hat was a throw back to the man in black in halloween 5. Why bother reviewing horror films, they are not for you guys. This show. These film lovers. These films. It’s everything to me. Never have I been so engrossed by the dissection of films. And I LOVE films. The thoughtful, care-full, and compassionate discussions each and every episode is a gift to humanity. My depth of movie knowledge has grown exponentially since I began listening to this podcast. Josh and Adam are a terrific pair, and their insights and discussions about film and film history are Simply the Best. Spoilers or no spoilers, please pick! Knowledgeable, thoughtful hosts go a long way to make this a good podcast. A couple things keep it from being my family’s favorite. 1. The movie discussions are too in depth for out tastes to listen to before watching a movie. BUT the hosts often spend too much time dancing around details to be a fully satisfying post movie experience. So... pick your angle please! 2. The podcast could click by better as more focused 30min show, especially if it is tooled for listeners who have not yet seen the movies in question. That said, I’ll continue to listen. Movies have always been a huge part of my life from daily visits to the local blockbuster with my parents as a kid to getting my first job at a movie theater and working up to management through my early twenties. After moving to another career and having other things pull me in different directions, I found the passion for film not what it use to be. I live in a town where most people I know would rather go hunting or fishing that sit down to anything other than a marvel movie. I found it hard to talk to people about film which as any art form needs to be discussed to be appreciated in my opinion. About 6 months ago I googled film podcasts and found a slew of different ones on apple podcasts and finally I came across film spotting. Not to say that all the other ones were terrible, but I can definitely say that this one is the best of the ones I listened to. I generally listen to podcasts to fall asleep to at night and the only bad thing about this one is it keeps me up. Since listening I’ve watched movies recommended by Adam and Josh such as Linklater’s Before Trilogy, The Rider, First Reformed, Lean on Pete, Once, Sing Street, the Tree of Life, not to mention a slew of Wes Anderson films I’d never seen and always chalked up to not being my thing. Some of these films have easily gone into my top films of all time and I don’t think I’d ever have given them a chance without this podcast. In a world of streaming services and on demand it’s so hard to even know what to watch anymore, but I know if Adam and josh have praises for it I will probably like it. Thanks for all you’ve done for me and my movie journey! I am so grateful this podcast exists. They have the conversations around film that I wish I was having with my own friends and family. They are insightful, funny, and help introduced me to films that I might’ve missed. 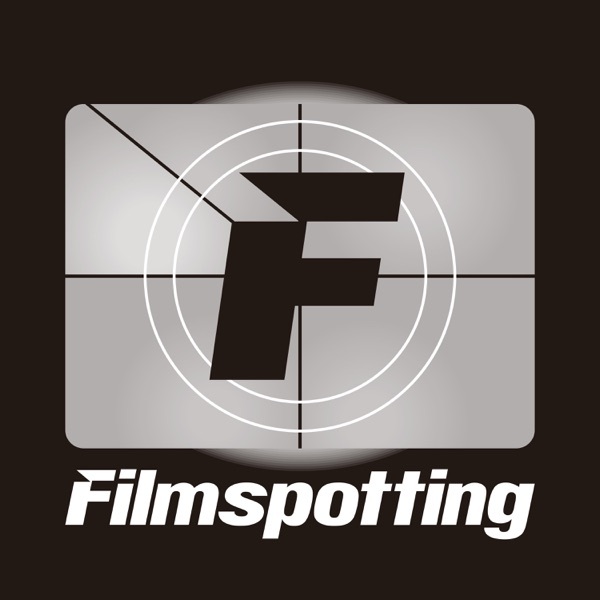 Filmspotting is an excellent movie of the week podcast which gives thoughtful opinions on new releases, while also exploring older and overlooked movies. Through feedback and weekly polls, live shows and annual movie face-off tournaments, they're building a community for movie lovers. The show is led by two hosts, with humor but also with serious minded criticism which shows their deep affection for Blockbusters and art house films. You'll agree with one, or the other, or neither, and then out of nowhere your spouse will say you're all full of it. Filmspotting is engaging, easy, and fun listening. I am a pediatrician in Michigan who asks all his patients about future career plans. Many of them are headed to Chicago and/or plan to study film at some level. I recommend this podcast to all of them. It is one of my top 3 can’t miss listens. Though I usually run a week behind. Best podcast ever: Insightful, witty, funny! Over tha past 12 years, I subscribed to many podcasts, but most of them faded away after a couple of years. Filmspotting is the only podcast that I listened to consistently and got to enjoy more and more each year. I enjoyed Filmspotting so much that I listened to the whole archive... not once but, multiple times. Filmspotting has done more than introducing me to good movies. The discussions about the movies is food for thought and helps me form existantial questions or even ideas that I cannot come up with on my own. Thanks to Filmspotting, I think a lot more about and endless list of topics such as art, morality, mortality, opression, pleasure, love, commitment, etc. Can't say enough about how much I enjoy Filmspotting. Adam and Josh are great hosts and consistently pump out thought-provoking and insightful reviews, conversations, interviews, and film reenactments (Massacre Theater is a dark-horse candidate for the segment of the show). I'm honestly eager every Friday to listen to their newest episode, and any film I see seems partially incomplete if I can't hear their take on it. A mentor / friend introduced me to Filmspotting about 12 years ago just after they'd changed their name from Cinecast. I liked then but it didn't fully click with me at the time as I don't think I knew how to process film and cinema with any type of critical eye. Now, 12 years later, it is the ONLY podcast I can say I listen to faithfully. I think I've listened to roughly 80-90% of their episode library and I go back and listen to old episodes all the time to process a film after I've seen it again or for the first time. They have introduced me to a whole new way of thinking about movies as art and expression and have inspired me to branch out and see films that I would have never seen on my own but ended up loving. Adam and Josh (the hosts) are incredibly articulate, insightful and honest about what they love and hate about movies and they've certainly had a profound affect upon the way I watch movies and share them with friends. If you think of yourself as any kind of film buff or cinefile, do yourself a favor and listen to this podcast. I was randomly searching for a film podcast and clicked on Filmspotting. I was surprised to find out that I was listening to the spiritual successors of Roger and Ebert. Whether you are someone just wondering whether or not you should see a recent release, a huge film buff, or an aspiring filmmaker as myself, between the insightfulness of the two hosts, the entertaining lists, and the occasional interview, there’s always something fun and new on this podcast. If you can tolerate Josh Larsen’s near-constant upward inflection when issuing his critical evaluation, as though he's seeking validation for his opinion, this podcast can be worthwhile. Adam Kempenaar is especially delightful, and I love it when Michael Phillips joins. I've been a listener (and donator) for about four years now, but just getting around to writing a review. As I stated in the title, I love the balance of insightful, thoughtful criticism that doesn't take itself too seriously. Also a good balance of mainstream hollywood and more obscure indie fare. Similarly good balance between talking about new material and referencing/revisiting classics. I have been listening to the podcast for years now and continue to enjoy the conversations, banter and disagreements that both Adam and Josh (along with guest hosts Tasha Robinson, Michael Phillips, Scott Tobias) have throughout each episode. Their various experiences and likes and dislikes shine through on this podcast and they are not hesitant to let you know how they feel about a film. If you listen to one podcast about movies make it this one! Terrific Film podcast for casual movie watchers and film geeks alike. Josh and Adam have a terrific rapport, unique senses of humor, and the show is always engaging and informative. Definitely one of the best film podcasts out there. Love this podcast. Thoughtful, without pretentious nonsense. Just genuine discussion about movies by people who know their stuff. You can tell they are passionate about committing to this weekly podcast because the movie watching alone is so time consuming. How do you guys keep up? But God bless! Enjoyed Josh’s book too. Pick it up! The best film podcast there is. I’ve always looked for a podcast that finds that balance between indie and mainstream cinema. And Filmspotting is that very podcast. Plus, Adam and Josh are two genuinely great hosts whose opinions I always enjoy listening to and respect even when I disagree with them. Been listening for close to two years and I hope to for many more years. If anything, you guys have one very big fan in Pakistan. I've lost count how many years I've been listening. Hands down that best film podcast out there. Like having a conversation with two good friends about your favorite movies. And just when you start to get frustrated that you can't seem to get a word in edgewise, you remember this is a podcast, and they can't actually hear you. I listened to this podcast for two years because I thought that I kind of had to in order to be a real cinephile. But recently I realized I am just wasting my time listening to two more dudes give their (white) hot takes on something. Every week for two years I’ve put up with an hour and a half of long-winded analysis, bickering, shameless self-promotion, and a really long, totally bizarre segment in which two grown men badly reenact movie scenes ?? except it’s a podcast, so only audio ??? When male film critics outnumber female film critics 5:1, the last thing we need is yet another platform for straight white men to tell us which movies to go see. Listen. Being a cinephile doesn’t mean you have to suffer. If you like suffering and want to hear two white guys argue for hours and hours, turn on Fox News. However, if you (like me) are tired of suffering but still love movies, I highly recommend the much better spin-off Filmspotting SVU and The Next Picture Show, both of which have at least some diversity of perspectives/voices. In the Pantheon of Film Podcasts, if I could only take one with me to a desert island, this would be the one. Been listening for about a year now, and this years Filmspotting Madness prompted me to leave a review. Madness is evil, but a delicious fantastic kind of evil, and i'm in love with it. Having to make some of theses decisions leaves me grinding my teeth. I've never had this much fun with a podcast before. Don't get me wrong either, this Podcast is fantastic all year long, but Madness.....is a the new highlight of my year. Thanks for giving me such great content, consider me a subscriber for life. Filmspotting is a gem of a podcast. Not only is the substance of the podcast absolutely engaging, it is well produced and beautifully edited with none of the distractions that affect less polished podcasts. Listening to Josh and Adam discuss and debate a film is one of the highlights of my podcast week, and I highly recommend this excellent show. This my second review, but I just had to give more love to this great podcast. Adam and Josh are film critics extrodinaire. Every episode is thorough and in-depth, and I look forward to hearing their insights after I have viewed a new film. If you aren't a regular listener, don't miss this great podcast! How can you call yourselves film lovers? While for the most part I do enjoy listening to these guys, I don’t how they can come off like they are such lovers of film but only watch movies one time. I don’t know how many times they will be talking about an amazing movie and how much they loved it but then say something like, “I probably haven’t since it was in the theater”. Really? Josh and Adam, the hosts of the show, have a true love for film, and it shows throughout the podcast! I would definitely recommend all movie lovers to subscribe. The production value of the podcast is amazing. I haven’t heard any other podcast that’s this good. The hosts talk about blockbuster movies all the way down to the most obscure films. I am constantly picking up on great new films to watch because of the wide range of films they discuss. I feel like I’m trotting out all the cliches when lauding Adam & Josh but I can’t help myself. This podcast helped me through a rough patch in life, and their approach to film criticism had everything to do with that. As Adam says at one point, his intention was to take the films seriously, not themselves. He and Josh nail it. I have found reason to watch at least 20 movies that I might never have given a chance — MIDNIGHT SPECIAL in particular is so so good — and they’ve made me feel connected to the world of film in a way that I haven’t been since high school, when I would clip every article about David Lynch I saw. So thank you for that, and for the light resonant touch, and of course Midnight Massacre. Fun banter, passionate and (mostly) informed reviews, and a strong, vibrant community. The top 5 lists are a blast, and massacre theater is a thing of genius. Could use more diverse guest voices women, minorities, queer voices, but they still do a better job with that than most. I've been listening to Filmspotting for years. The rapport between hosts, "regulars", and guests feels natural and down-to-earth, including some rough edges, making the entire show as enjoyable as a well-rounded movie; sometimes it's like a documentary, occasionally like a cult movie, often like a comedy -- but always full of interesting or simply fun discussions, along with the dependably silly Massacre Theater segments.